If pruning is an essential part of caring for a tree, then why are so many of us doing it wrong? 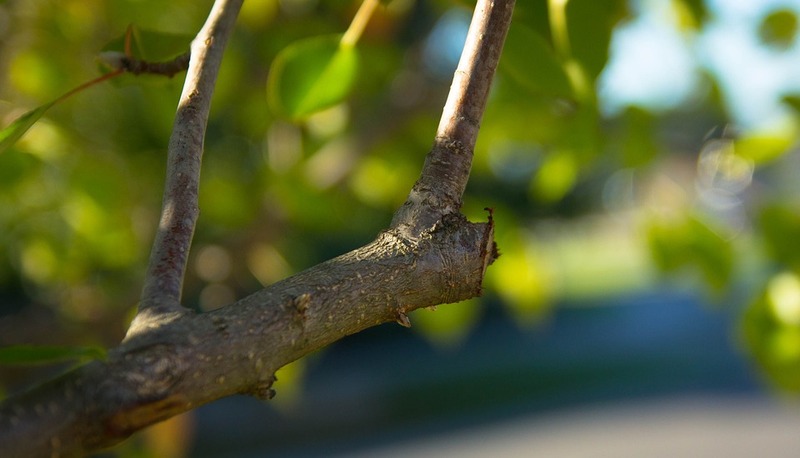 We uncover five of the most common tree pruning mistakes. Avoid making these and get ready to reap the benefit: beautiful, healthy trees. Topping is the act of removing large branches at the top of a tree, leaving only small branches to act as the leader. This can cause damage to weaker limbs and splitting, which puts the tree’s health at risk. If a branch is diseased or dead, it’s best to remove the branch completely, but avoid topping your trees at all costs. If topping is your solution to a tree that’s in the way because of its size, try pruning to accommodate the object (such as a power line) or thin out the canopy instead. While it may seem logical to prune one side of the tree until you’re satisfied with its size and balance, your goal should be to trim no more than 20 percent of the tree. Remember, your tree is a living thing and each cut is an open wound that is vulnerable to disease. Prune around the entire tree to maintain balance without removing too many healthy branches. When pruning your tree, you need to respect the natural structure of the tree. Topping or removing the branches closest to the bottom of the tree can be harmful to the tree’s health and growth. Trimming buds from fruit trees or limbs from weeping trees take away the tree’s beauty. It’s usually best to prune deciduous (leafy) and coniferous (cone-shaped) trees by thinning out weak or crowded branches. How would you describe the condition of your pruner or lopper? If it’s dull or rusted, consider replacing it. The clean cut you want to achieve when pruning can’t be done by a dull blade (and an uneven cut can increase a tree’s risk of disease or infestation). Your tools should also be clean before you prune to help prevent the spread of disease. DIY pruning may be preferable for you, as long as the conditions are safe. Call a certified arborist, like Ostvig Tree Care, if your pruning needs are close to power lines, above property or require a ladder.